ABOVE: Jeffrey Jones, original art for Idyl (n.d.), ink on bristol, 18 x 23 inches. 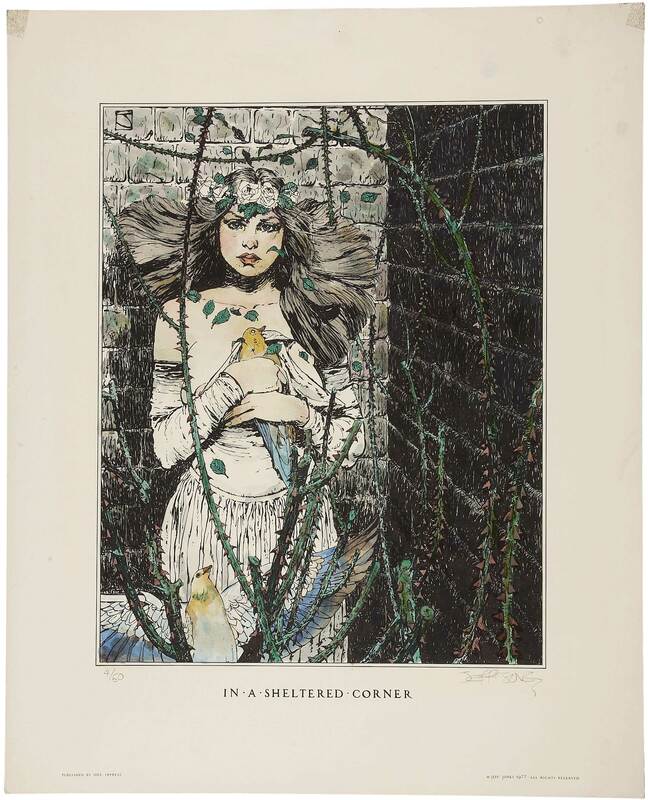 ABOVE: Jeffrey Jones, In a Sheltered Corner (Idyl Impress, 1977), hand-coloured, limited-edition lithograph, 17 x 21 inches. You can view the printed version, with the title stripped in, here; it’s third from the top.